The H.P. 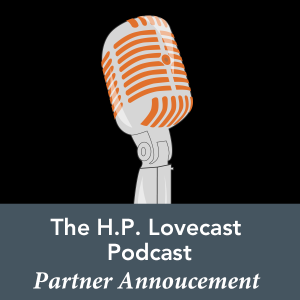 Lovecast is a new, monthly podcast focused on the writings of H.P. Lovecraft. It features conversations from a number of Southwest Popular/American Culture Association (SWPACA) participants and grew out of discussions that began at the inaugural game night at SWPACA 2015. While there are no words to describe Lovecraftian horrors, there are at least three words to describe this podcast: upbeat, pleasant, and inquisitive. Each month, a new story is selected for consideration and then discussed for about an hour. To date, “The Colour Out of Space,” “The Cats of Ulthar,” “Herbert West: Reanimator,” “The Dream Quest of Unknown Kadath,” and “The Case of Charles Dexter Ward” have been explored, with special attention paid to each work’s historical context and prime narrative features. Copies of these conversations can be found on the H.P. Lovecast YouTube account. In the run-up to SWPACA 2016, Lovecast will discuss a number of other tales, such as — but not limited to — “The Call of Cthulhu,” “The Shadow Over Innsmouth,” “The Thing on the Doorstep,” “The Dunwich Horror,” and “The Haunter of the Dark.” To date, discussions have enabled participants and listeners alike to generate critical commentary. Some of this work can be viewed on the podcast’s official blog: Some More Weird Tales. This venture is addressing a perceived need in the general area of Lovecraft studies — which has lacked a persistent, accessible, community-oriented forum for emerging scholars for several decades. Additionally, commentary to-date on Lovecraft has yet to address a range of intriguing questions that pertain to the general interests of PCA scholars, most prominently questions concerning the wild popularity of Lovecraft’s themes. The goal of Lovecast is to consider the author and his writings as a popular culture phenomenon, and why it is that his stories continue to fascinate readers and inspire other artists working in a range of media formats in the twenty-first century. For example, just what is it that makes him an icon of modern fantastic horror? One of the most effective ways to do this, we contend, is with a public podcast associated with a popular culture conference, because it allows experts from many different fields to interact. Consequently, a prime interest for the series is to bring interested minds from a range of backgrounds together for general discussions and collaborative investigations. In this way, the participants hope to promote the spirit of the PCA and, in particular, the interdisciplinary nature of that spirit as it is manifested at the SWPACA annual conference year after year. For those not familiar with the author or his work, it can be helpful to know that Howard Phillips Lovecraft was born in 1890. He spent most of his life in Providence, Rhode Island, and many of his stories are situated around this area. Influenced by Edgar Allen Poe and classic continental gothic literature, he was one of the first writers to explore horror in a modern American landscape and social geography. He sold most of his short stories to dime magazines and was a member of multiple writers associations. During his lifetime, he was not a very successful author, and it was only a decade after his death when his stories were republished that he became well-know. Since that time, fans and researchers alike have been mesmerized by the world he created. His influence on new authors and popular culture artists has been significant, making him today an iconic figure of American horror literature. Our podcast conversations on Lovecast frequently attend to these and related biographical matters, as the participants are eager to explore possible relationships between the distinctive figure of Lovecraft and his unique compositions. However, even if you are not familiar with Lovecraft, you are probably already familiar with the enthusiasm for popular literature that is so significant to Lovecast. This is because many of the discussants first met in Albuquerque, through SWPACA panel discussions, roundtables, and other community-building events, on panels ranging from Spy Studies, to Zombie Invasions, to Storytelling in Video Games. While these friendships were forged in New Mexico, they now extend to a broad and ever-broadening geographic region, from Los Angeles to Berlin. Interestingly, our east coast contributors are also connected through the 2015 NEPCA conference, which was held in Providence, Rhode Island — Lovecraft’s old stomping ground. The group’s geographic diversity is one of its notable strengths, as its multiregional and multicultural perspectives underscore the global significance of Lovecraft’s writings. The members of H.P. 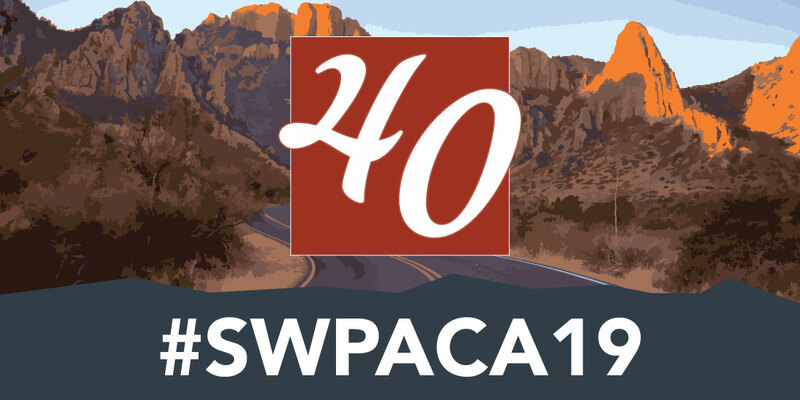 Lovecast are planning to attend SWPACA in 2016, and hope to record a live podcast at the event, as well as run and record a live game of the Lovecast role playing game Call of Cthulhu. Consider yourself invited! The podcast will be interactive and similar to the roundtable sessions at the SWPACA. In the case of the podcast, the audience will be asked to participate after a general introduction into key themes and controversies, presented by the podcast crew, who will then guide the conversation. H.P. Lovecast consists of Adam Crowley, an associate professor of English at Husson University and progenitor of H.P. Lovecast, Michele Brittany area chair of James Bond studies at the SWPACA and reporter for Bleeding Cool, Juliane Schlag, a historian, Nicholas Diak an independent scholar of Italian films and neofolk music and a reporter for Heathen Harvest, and Ashley Barry a journalist for Not Your Mama’s Gamer. Please visit the official blog site, Some More Weird Tales, for more information about each scholar, links to podcast episodes and articles relating to and inspired by topics discussed on the podcasts. *The H.P. Lovecast is indebted to the Not Your Mama’s Gamer (NYMG) website and podcast for the inspiration to meet via Google Hangout. After watching how effective the technology was for NYMG, the group determined that it would make a lot of sense to pursue this relatively low-cost option to facilitate conversation.